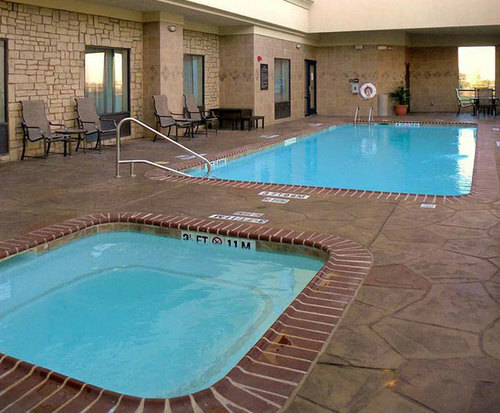 The Hampton Inn & Suites Dallas/Cockrell Hill is an exceptional establishment that provides its guests top-notch accommodations and a great location in the city of Dallas. 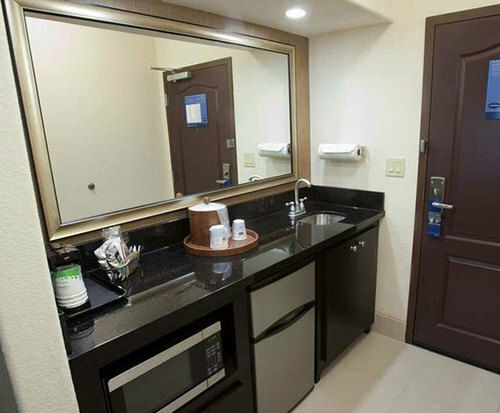 A few of the many amenities included with the hotel are a fitness center, pool, hot continental breakfast, snack shop, airline desk and the 24 hour Pavilion Pantry Market. Guests looking for a fun and exciting time can easily take part in the Dallas nightlife or check out one of the many professional sports teams that call Dallas home. Begin your day the right way with a free hot breakfast, or grab a "Hampton's on the Run" breakfast bag if you do not have time to sit down for a meal. Use the fitness center for a quick, effective workout to get your blood pumping before you head out to explore Dallas. Visit the snack shop anytime to get a quick bite to eat. After a busy day, kick back and relax in the pool. 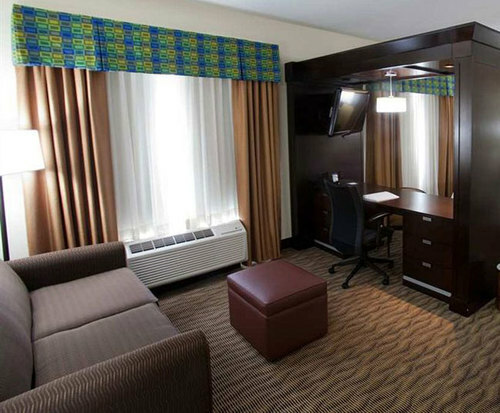 Dallas is an exciting city with a lot to offer, so your room provides a much-needed respite. Iron your clothes for the night ahead, grab a cup of coffee via the in-room coffee maker or kick back and relax in front of the television. The complimentary high speed internet allows you to do some work, or just surf the web. Dallas has a lot to offer, however, so do not get stuck in your room. Grab a snack or meal at IHOP, Chili's or Cici's Pizza, all located within a quick 0.4 mile walk of the hotel. After dining out, check out the Dallas shopping scene at the American Airlines Center or at the Highland Park Village, just minutes away.